Our wealth management department manages client investment assets in addition to working with clients on comprehensive financial and estate plans. As many of our professionals are CPAs and CFPs we are uniquely positioned to incorporate sound tax planning & minimization strategies into our investment management strategy. All our team members have unique specialties within the wealth management field and through the team approach we employ all our clients have access to the professionals that best fit their specific needs. Managing Partner and graduate of Lycoming College. Peter is a Certified Public Accountant (CPA) and holds the designation’s of Personal Financial Specialist (PFS), Acredited Estate Planner (AEP) and Certified Financial Planner (CFP). Peter has completed the NASD (National Association of Securities Dealers) Series 66 and is a licensed NJ Life and Health Insurance producer and maintains a mortgage license (NMLS). 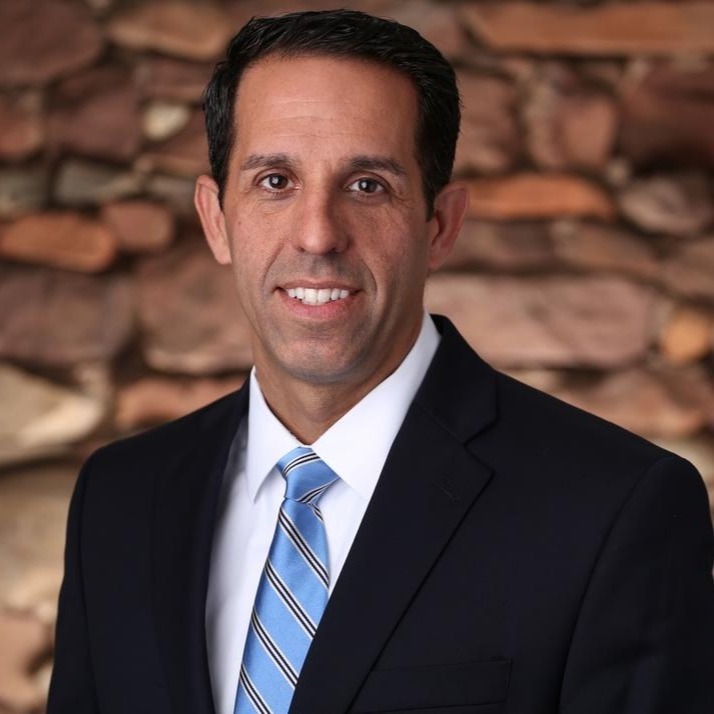 He is a member of the National Association of Personal Financial Advisors of fee-only planners (NAPFA) and past-chairman of the New Jersey State Society Bergen County Financial Planning Committee. He is a member of the Financial Planning Association (FPA), the American Institute of Certified Public Accountants (AICPA), the New Jersey Society of Certified Public Accountants (NJSCPA) and the National Football League Players Association (NFLPA). Peter specializes in wealth management services, including portfolio management, retirement planning, educational funding, insurance planning, individual, estate and trust taxation. He provides comprehensive personal financial planning by using his unique skill set as a CPA Financial planner to provide clients with cohesive tax and investment planning and advice. Peter is also the compliance officer at the firm as required by the Securities and Exchange Commission. Peter has given numerous seminars on investment planning, retirement and college funding. He has taught several financial planning classes at Bergen Community College. Peter was appointed to the Student Financial Literacy Advisory Board to work with the New Jersey State of Chamber of Commerce in developing a financial literacy program for high schools. He is a past President of the Oradell AM Rotary, past-chairman for the CPA Help Center which provides pro-bono financial services to families in crisis, and a past-member of the Consumer Interest Committee (CIC) for New Jersey which provides pro-bono and financial educational services. Peter also supports (VITA) Volunteer Income Tax Assistance Program to prepare tax returns for individuals in financial hardship. Peter has written articles for or has been interviewed by many national publications such as Kiplinger’s Magazine, Financial Advisor Magazine, Crain’s, Money Magazine, Investment News, Daily News, The Bergen Record and Wall Street Journal. In 2014 & 2015 Peter also appeared on the News 12 program 'It's Your Money' and assisted the public by answering their tax & financial questions. Peter is married with four children. His hobbies include attending his children’s sports schedules, playing softball and tinkering in the garage. V. Peter Traphagen, founding partner of Traphagen Financial Group, is a graduate of Farleigh Dickinson University. Peter specializes in all aspects of wealth management including taxation, financial and estate planning, and portfolio management services. Peter is a Certified Public Accountant (CPA), Certified Financial Planner (CFP), Personal Financial Specialist (PFS) and Accredited Estate Planner (AEP). Peter is a founding member of the Association of CPA Financial Planners, Inc. (ACPAAFP). Peter has completed the NASD (National Association of Securities Dealers) Series 63 and 65. Peter is past chairman of the Financial Literacy committee. 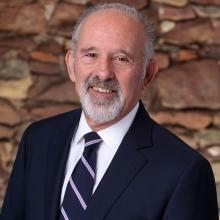 Peter is past chair and currently a member of the New Jersey State Society's Personal Financial Planning Committee and the Estate Planning Council of Bergen County. He is a member of the Financial Planning Association Division of Pro-Bono Services. He is the co-founder of the New Jersey CPA Help Center and Financial Literacy Committee. He presently serves on the Board of Directors of the Bergen Community College Foundation and Assistant Treasurer of the Bergen Community College Foundation, New Jersey World Trade Center Scholarship Fund Board of Trustees, and is the President of Share USA, a non-profit organization devoted to providing benefits to the financially and medically destitute. Peter is a member of the American Institute of Certified Public Accountants (AICPA), and the New Jersey, New York, and Florida Societies of Certified Public Accountants. Peter received the prestigious 2004 Medallion Award from the Bergen Community College Foundation recognizing his longstanding commitment to the community. Peter and the New Jersey Help Center received a special award from the Volunteer Center of Bergen County for extraordinary service to families affected by the World Trade Center disaster. Peter was honored by the NJSCPA for 25 years of distinguished service. Peter has authored numerous articles on investment analysis, financial planning, estate and elder care planning. Peter has also been a guest speaker for "Tax Talk", CNN Money, and The Dolan's. Peter is married with five children and enjoys biking, sailing, and rock climbing. Peter and two crew members sailed from Boston across the Atlantic to Portugal. The voyage was accomplished in a 33-foot sailboat. Eric D. Mancini is a CFA (Chartered Financial Analyst) Charterholder, a Certified Financial Planner (CFP), a Chartered Alternative Investment Analyst (CAIA), and the director of investment research at Traphagen. Eric graduated Penn State University with a BS in Economics with a focus in Finance. He specializes in portfolio management, investment analysis, and personal financial planning. He also works with clients on insurance planning, tax planning, and personal income tax preparation. In addition to the already mentioned certifications, Eric holds the NASD (National Association of Securities Dealers) Series 65 license and the NJ Life and Health Insurance license. Prior to joining TFG, Eric worked as a wealth manager specializing in comprehensive financial planning and portfolio management for high net worth individuals at Brinton Eaton Wealth Advisors (now Mariner). Previously, Eric was a financial advisor and investment analyst at BLS Advisors, LLC, where he worked on elder care estate planning, retirement planning, annuity analysis, and retiree portfolio management. Mr. Mancini is also a NAPFA (National Association of Personal Financial Advisors) registered advisor. NAPFA is an organization dedicated to fee only financial advice and championing the fiduciary standard for all advisors. He is also a member of the WiserAdvisor network of advisors; which is an organization of experienced advisors who meet strict ethical and professional standards. Eric is currently teaching (along with 2 colleagues) a series of investment and retirement planning courses at Bergen County Community College. He has been teaching at the college for 2 years. Mr. Mancini is a staff writer for Benzinga.com, where he regularly writes articles on portfolio management, economic analysis, ETFs (Exchange Traded Funds), and stocks. His work has appeared on other financial websites such as Yahoo! Finance, Fox Business News, dailymarkets.com, Macro Markets, and the San Francisco Chronicle. He has been interviewed by Forbes on several occasions on an array of topics, usually involving individual stocks. More recently Eric has been interviewed by US News and World report, the Bergen Record, Money Magazine, and the Wall Street Journal. Since 2015 Eric has been a recurring guest host on the 'Your Money' radio show, which airs on SiriusXM. Along with host Kent Smetters he discusses alternative investments and answers questions from callers nationwide on an array of personal financial topics. He is a huge Penn State and professional football fan, and enjoys golf, traveling, and tennis. Kathy specializes in tax planning and income tax preparation in addition to Social Security Planning and College Planning. She also oversees Security and Exchange Commission (SEC) compliance and reporting. Kathy is a graduate of Montclair State University with a BS in Business Administration, concentration in Accounting. She is actively involved with VITA (Volunteer Income Tax Assistance Program) in the preparation of tax returns for individuals with financial hardship. 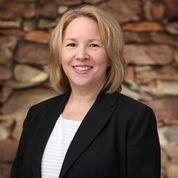 Kathy is also well versed in all aspects of account management and client relationships. She is a member of the New Jersey Society of Certified Public Accountants (NJSCPA) and she has also completed the National Association of Securities Dealers (NASD) 66 license. Kathy is married with three sons and two grandchildren. She is an avid reader and a sports enthusiast. She is very active in the community and serves on several charitable and community boards in various capacities. 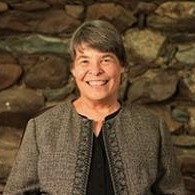 Kathy has been with the firm since 1996. Jeff is a graduate of Lock Haven University with a B.S. in Accounting. He has his Masters Degree in Accounting from Montclair State University and has obtained his CPA License. He also holds the designation's of Personal Financial Specialist (PFS), Acredited Estate Planner (AEP), and of Certified Financial Planner (CFP). 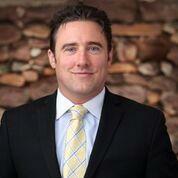 Jeff specializes in individual taxation, business accounting and taxation, and estate tax returns. He has his Series 65 License and specializes in wealth management services, including portfolio management, retirement planning, educational funding, and insurance planning. He provides comprehensive personal financial planning by using his unique skill set as a CPA financial planner to provide clients with cohesive tax and investment planning and advice. Jeff is a member of the New Jersey Society of Certified Public Accountants (NJCPA) and of the American Institute of Certified Public Accountants (AICPA). 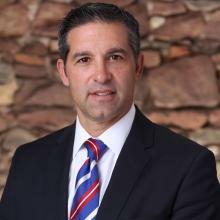 He is a member of the National Association of Personal Financial Advisors of fee-only planners (NAPFA), and the Greater New Jersey Estate Planning Council (GNJEPC). He enjoys recreational sports including soccer and baseball and likes to go on hikes. He is an avid football fan and sports enthusiast. Christopher is a Certified Financial Planner (CFP), Chartered Retirement Plans Specialist (CRPS) and a graduate of Boston University. Christopher is passionate about financial planning and views the profession as a calling to faithfully serve individuals and their families. He believes this is accomplished by first listening to their goals for the present and future then with that knowledge providing stewardship over those areas of their life. Christopher has also been interviewed by Financial Advisor Magazine to provide insight into different aspects of financial planning. Christopher specializes in working with executives to understand and optimize their corporate stock options. With varying rules, regulations and potential tax implications, Christopher examines the vested and unvested tranches, as well as conducts fundamental analysis on the company in order to create a tailored execution strategy. As a member of the Traphagen Investment Committee, Christopher collaborates on the construction of our portfolios and conducts research and due diligence on current and potential investment strategies. He also analyzes the state of the domestic economy as represented in our Traphagen Recession Index. Christopher manages the Traphagen Corporate Retirement Program. 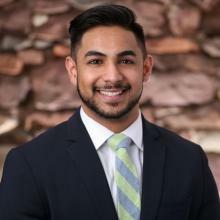 As a Chartered Retirement Plans Specialist, he works closely with business owners to analyze their specific needs, structure the most efficient and cost-effective retirement plan as well as lead in the implementation and management of the plan. 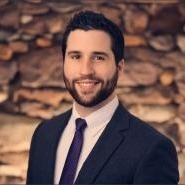 Christopher works with many third party administrators, recordkeepers and payroll companies, which provides him the ability to offer unique fiduciary counsel to business owners. Christopher has a heart for teaching and has given numerous investment and tax seminars, as well as taught financial education courses at Bergen Community College. He has also led the implementation of Traphagen WealthStarter; our digital wealth management platform for individuals and families beginning to invest and grow in their knowledge and understanding of wealth management. As part of his involvement in the community, Christopher has been selected by Dave Ramsey’s organization as a trusted SmartVestor Pro and is recommended to Dave Ramsey listeners throughout Northern New Jersey to provide sound financial guidance. In his personal time, Christopher enjoys serving on the board of his church, reading, writing and spending as much time as possible with his wife and their daughter. Tiera is a graduate of the University at Albany with a B.S. in Finance and Information Technology Management. Tiera specializes in client relations and account management as well as managing daily operation processes. She assists new clients with their transition to TFG providing a bridge of communication throughout the on-boarding process. She also partners with our custodians and clients to ensure resolution of all client inquiries. As part of the Portfolio Management division, she’s an integral part of the operations department who provides support to our team of advisors and also assists in daily trading needs. She is also a member of the 401(k)-management department, and is responsible for the analysis and implementation of new and existing plans under our management. Prior to joining TFG, Tiera worked as a financial analyst at Ayco Co., a Goldman Sachs Company and previously as a personal banker with JPMorgan Chase on their investment team. 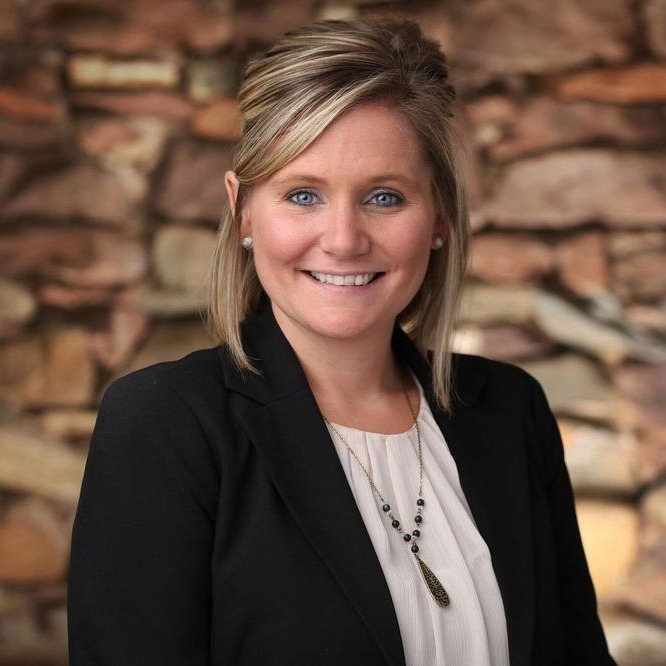 Tiera has completed her National Association of Securities Dealers (NASD) series 6 and 63 licenses, as well as the series 65 Investment Advisor Representative license. Tiera enjoys spending time outdoors with friends and family, whether it’s camping for the weekend or catching a baseball game, as well as cooking and listening to music. Alex is a graduate of Union College with a B.A. in Economics. While at Union, Alex was a scholar-athlete exceling in and out of the classroom as a member of the Union College football team, as well as a participant in various charitable and community outreach programs in New York’s Capital District. Prior to joining TFG, Alex worked as a financial representative at Northwestern Mutual where he obtained the New Jersey Life and Health Insurance licenses and Series 6 license. Alex has completed his series 65 Investment Advisor Representive license and is currently pursuing the CFP (Certified Financial Planner) designation. Specializing in both risk and wealth management, Alex focuses on the growth, retention, and security of client assets in the most tax efficient manner. Outside of the office Alex remains highly active, whether it be in sports or in the community. Kate is a graduate of Oakland University, Rochester MI with a BS in Accounting. She is originally from Detroit and has lived in San Diego and Arlington, VA before relocating to New Jersey. Kate has two children and enjoys hiking, gardening, baking, and volunteering. 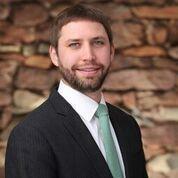 David is an investment analyst for Traphagen Financial Group and a recent college graduate from Manhattan College. While working towards his B.S. double major in economics and finance, David served as the Manhattan College Investment Club energy sector portfolio manager and a member of the Manhattan College Economics and Finance society. Prior to joining TFG, David worked a senior year private investments management internship at Raymond James Financial. He is also pursuing his Level I CFA (Chartered Financial Analyst) candidacy as well. In his spare time, David enjoys writing and creating music with friends, playing competitive sports such as basketball and football and spending time with his family. Eric Traphagen is a graduate of Ramapo College with a B.S. in Accounting. 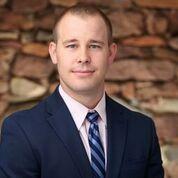 Eric specializes in Individual taxation, and is currently a CPA candidate and pursuing his CPA license. He is also a fundamental member of the Wealth Management team and has completed his Series 65 Investment Advisor Representative license. He specializes in various areas of wealth management including portfolio management, retirement planning and college planning. Eric is married with two children. In his free time he enjoys various outdoor activities with his family including running 5k races. His hobbies include restoring antique motorcycles and cars.